It’s nice when Valentine’s Day falls on the weekend. The day can be relaxing and fun-filled. 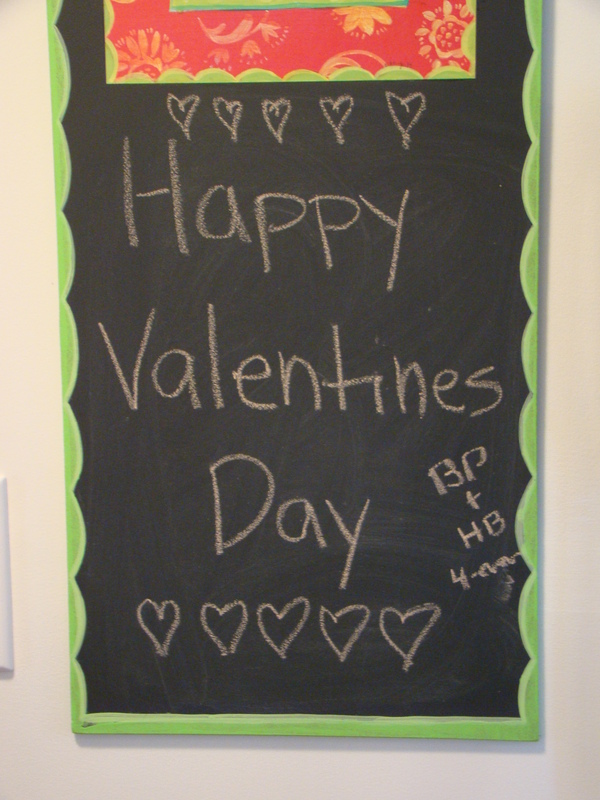 We started the day with the Valentine’s Day breakfast menu from the February/March 2010 issue of Fine Cooking. Unfortunately, it didn’t work out so well. The baked eggs were still raw after the recommended baking time. Then, we overcooked them. The candied bacon burned. The coffee cake was the only tasty part of the meal. A reminder that not all cooking experiments are successful. In the afternoon, my friend Isabel came over to help decorate heart-shaped cookies. Isabel has been my regular partner to decorate holiday cookies since she was about 5 years old. Now she’s 12. In fact, the cookie dough had been frozen since Halloween. We had our usual cookie date set up in October, but Isabel caught the flu. This was the first chance we’ve had to reschedule. Usually, we decorate with royal icing, but this time, I wanted to try something different. 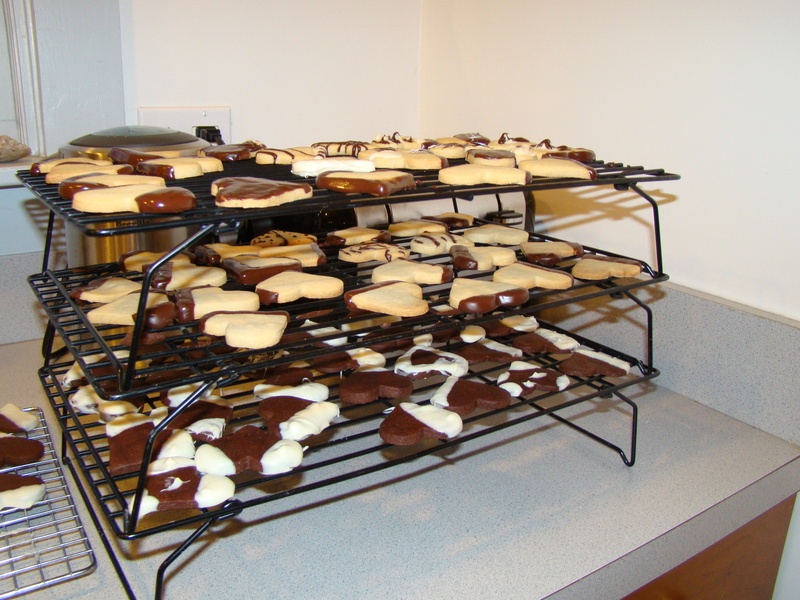 We had chocolate and regular sugar cookies to work with. I melted white chocolate and dark chocolate, we went to town dipping the cookies. It was a fun afternoon. For dinner, Howard and I went to Rocca, an Italian restaurant in the South End. They had a special Valentine’s Day menu. I started with gnocchi with foie gras and lentils. For my entrée, I had grilled duck breast over Swiss chard. For dessert, it was a hazelnut cake with orange glaze and orange sorbet with candied hazelnuts. Howard started with a seafood salad. His entrée was striped bass with Maine shrimp risotto. His dessert was a chocolate mousse with raspberries. What a nice meal. Posted on 15 February 2010, in General. Bookmark the permalink. 1 Comment. the cookies look yummy! thanks for sharing.